VirginiaLynne is a homeowner who likes to share her creative ideas for home renovation and home maintenance tips. Is Saltillo a Good Flooring Choice? 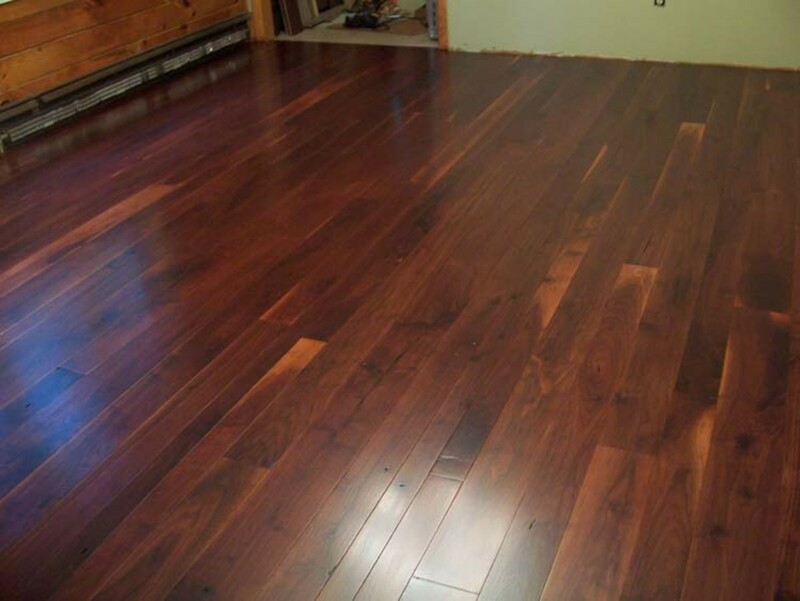 Are you considering buying a home with Saltillo flooring? Perhaps you would like to install this type of tile and are wondering if it is the best choice. We installed this flooring over 12 years ago, and this article gives you my perspective on how living with this ancient, handmade floor has been for us. All-Natural Product: Saltillo is made from clay found in the Northern Mexico area. The clay is formed into tiles, dried in the sun and then fired in kilns. Depending on the positioning of the tile in the kiln, it can range in color from yellow to red with many tiles having a mixture of those colors. Handmade: Because the tiles are left to dry outside, they sometimes will have the footprint of a dog or child which makes for a wonderful conversation piece in your living room. Feel Good on Feet: Since these tiles are made of clay, they are environmentally friendly and feel soft on your feet. Moreover, these tiles are much warmer on bare feet in winter than ceramic tiles. Yet they are cool and comfortable in the summer. Wear Naturally: Because these tiles tend to be softer than ceramic tile, they do need to be sealed before they are installed. After installation, they can be re-sealed if you like them to be shiny, but they also look good if they are allowed to wear naturally. 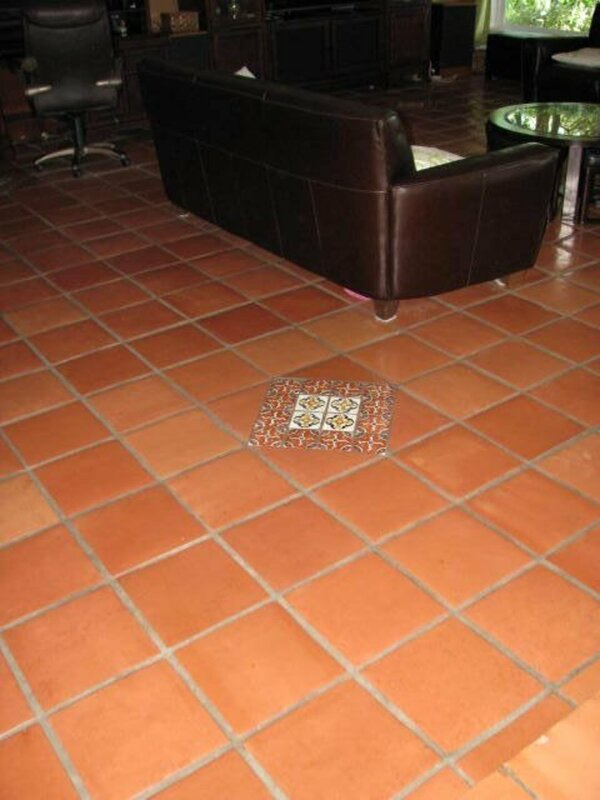 These tiles have been made in Mexico and the Southwest for hundreds of years and many public places in those areas have wonderful flooring which has been allowed to age naturally. Hides Dirt: Because the tile is such a warm brown color, it tends to hide the dirt. Even if the floor is dirty, it can be hard to tell. That is a strong advantage for families with young children! Just Vacuum or Sweep, and Mop: Most of the time a quick vacuuming or sweeping is all that a Saltillo tile floor needs to make it look fantastic. When dirty or sticky, you can just mop with water, diluted vinegar (1 part vinegar to 10 parts water), or a floor cleaner made for clay tiles. We have five children, a dog, a cat and three birds. I generally need to vacuum the main living area every day, but I really only mop every other week. When I had another flooring, it needed mopping every other day. Re-seal for Shine: If you like your floor to be shinier, you can reseal it every year or two. However, re-sealing is optional and you may not even need it except in high traffic areas. We’ve had these floors throughout our house for seven years and never resealed. Only a few spots look like they need it, mostly just one spot where I stand every day to cook. Since we have five children and many visitors trampling through our house, we have put the floor to a strong test. We know we could reseal the floors, but frankly, we don’t think we need to bother. They look great. Even though I love our Saltillo, this flooring won't work for everyone. Each Saltillo tile is hand made and so the surface is not completely flat the way ceramic tiles, marble, and other machine manufactured tiles are. In addition, the larger grout lines make the flooring more uneven. This creates a more rustic look which won't fit into every home décor. In addition, it can be more difficult for people who have trouble walking, or for wheelchairs. Ceramic tile can also crack and chip, but Saltillo is even softer and more prone to having nicks and chips. This doesn't look bad in the flooring because the whole surface is not evenly colored, but if you like your floor to look perfect, you won't like this kind of tile. 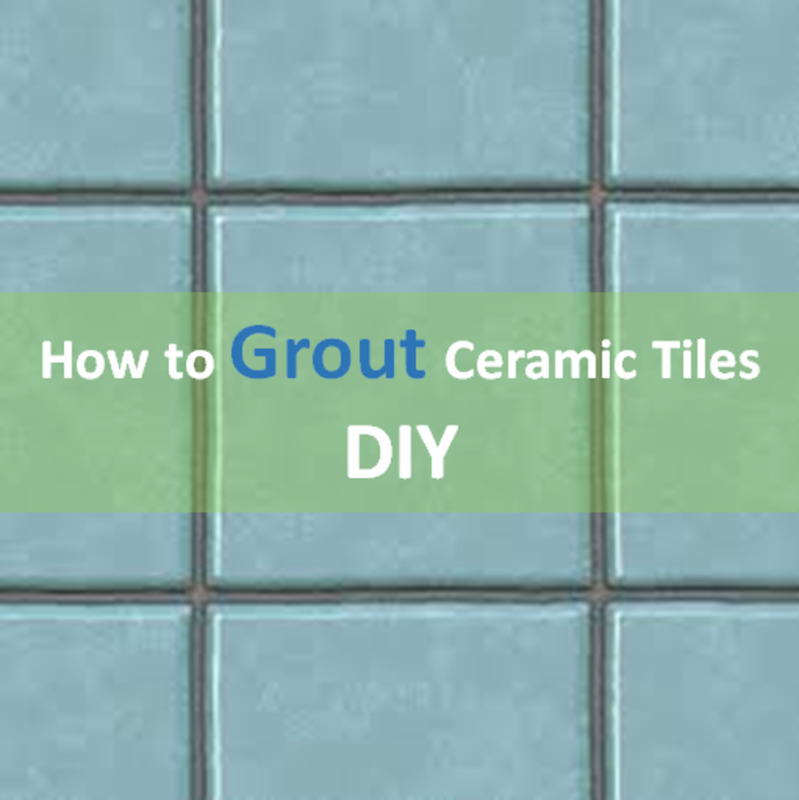 All grout does potentially need to be re-sealed as it wears down the protective coating, but ceramic tile itself doesn't wear down. However, the sealing on this tile can wear off and show patches of wear. This is the charm of an old floor, and if you don't like it, you can sand it down and re-seal the whole thing so that it looks new. My husband did that in our older Saltillo entry way which had been given a dark seal when installed. However, that is a big refinishing job. If the wearing of the floor would bother you a lot, you may want to choose something different. Saltillo installation is not exactly the same as other ceramic tiles and marble tile. Because the tiles are thicker and individual, the installer needs to be careful to put the right amount of adhesive and to space the tiles correctly. Moreover, they need to be sure to "rock" the tiles as they put them in to make sure there are no air pockets underneath them. 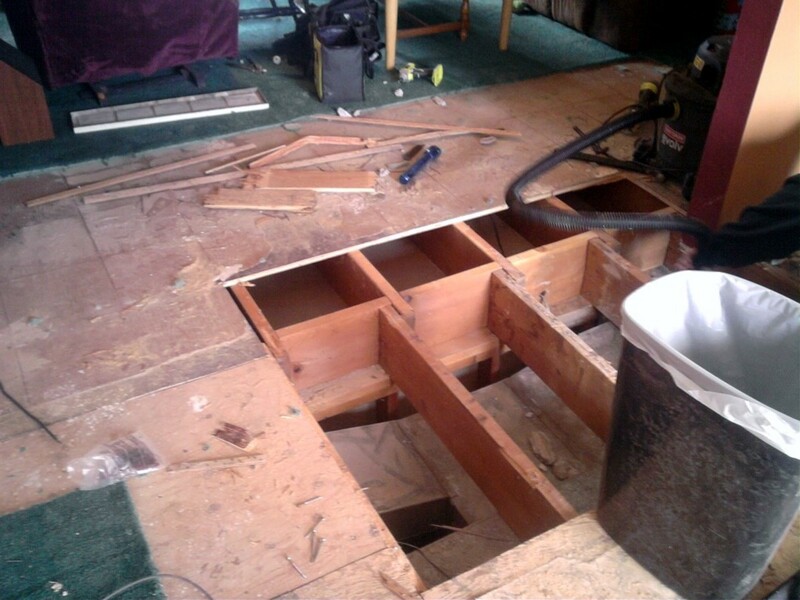 Be sure that you have someone who has experience in installing this kind of floor or you may end up with problems like cracking or uneven surfaces. All tile floors can be beautiful, durable and clean, but Saltillo tile can also give your home a unique look. Whether you want to decorate in a Southwestern, Mediterranean or French style, this tile can accent your home beautifully. 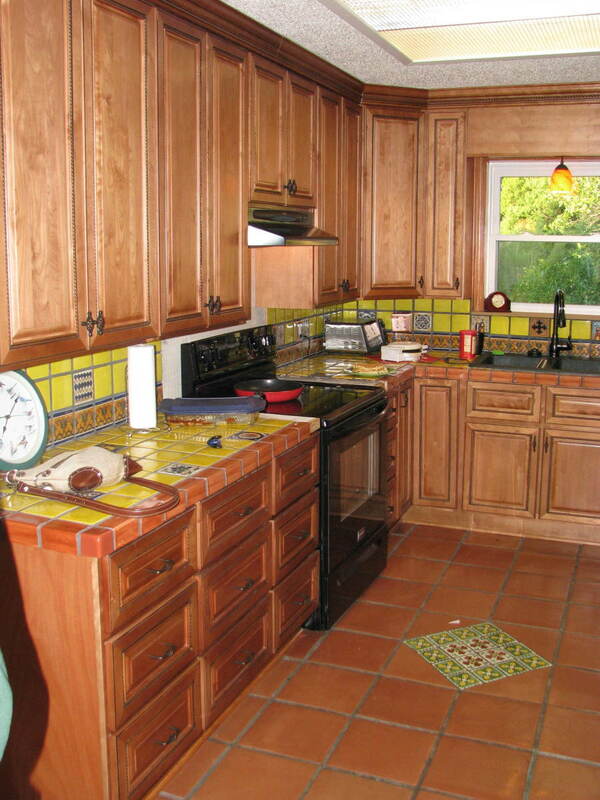 In addition, you can easily customize by using the many varieties of Talavera, also called Mexican tile or deco tile. Like Saltillo, Talavera tile has been made in Mexico for hundreds of years. Each tile is painstakingly hand painted by artists, often by following patterns which have been used for many years. Adding Talavera tile to your floor through diamonds placed in the middle of the floor or as an edging can turn your floor into a work of art. We did a lot of research before finally deciding to use this flooring in our home. Once we began to install, however, we quickly learned to love it and eventually put it throughout our home. 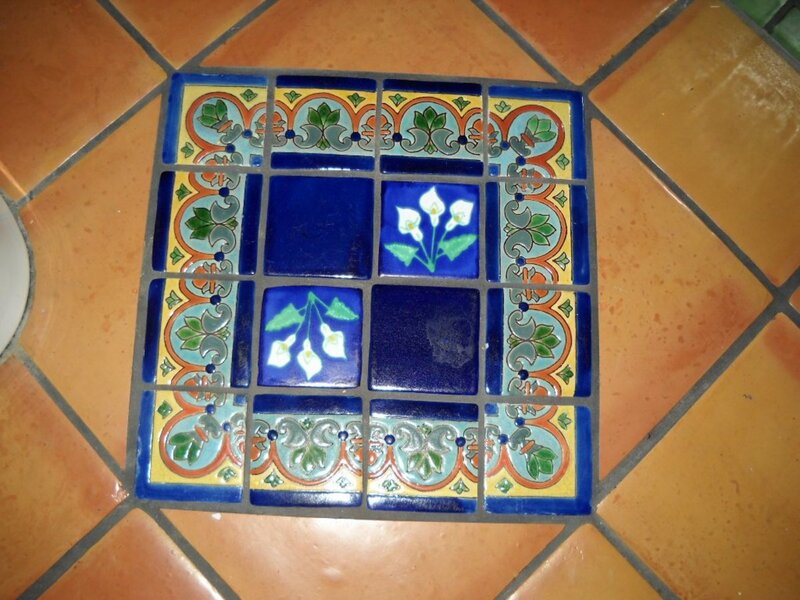 Now our family loves to find “our tiles” as we travel through the Southwest and visit restaurants, museums, and historical houses that use them too. Choosing Saltillo flooring is choosing to be a part of a wonderful history and a beautiful style. Why are you interested in this sort of tile flooring? I have it in my home. I'm interested in installing this flooring. I just like this kind of tile. I'm considering buying a home with this tile. 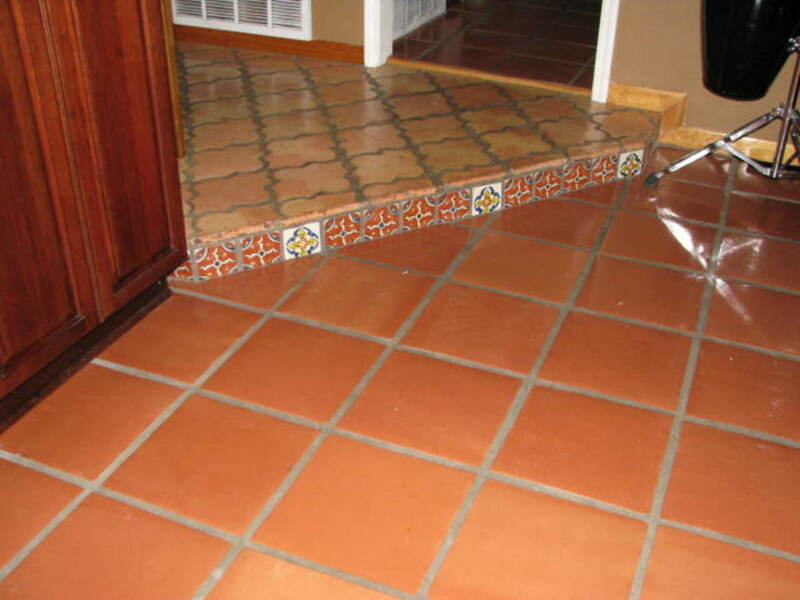 What type of canister vacuum works best on Saltillo Mexican tile floors? I have used both a Sears Progressive and a Miele. I like both of them but I think the Miele is better for this Saltillo flooring because it has deep suctioning. Some of the saltillo tiles on my home have cracked. Is there a simple way to repair these cracked tiles? You can't repair the individual tiles, at least as far as I know, but you can replace them, and it isn't as difficult as you would think. 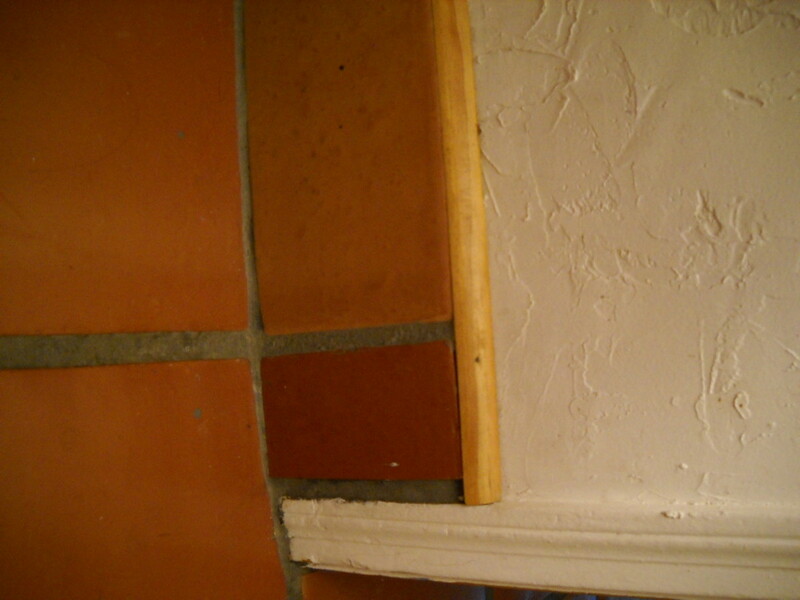 You need to use a chisel to take out the cracked tiles and remove all of the mortar and tile adhesive. Then you replace the tile using new adhesive and mortar. However, another alternative is just to not worry about the cracks. 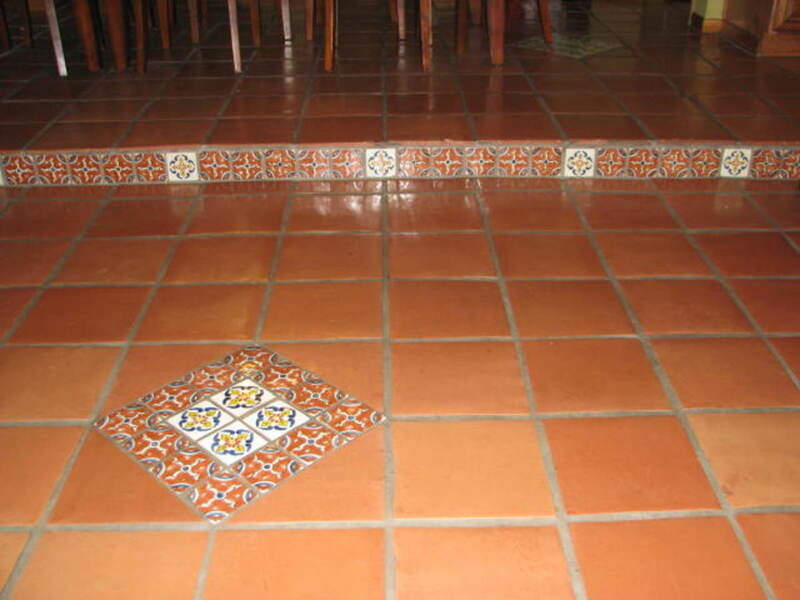 It is fairly common to have some saltillo tiles that crack in older homes. Since one of the advantages of these tiles is that wear accentuates their character, you can consider the cracks as part of their charm. 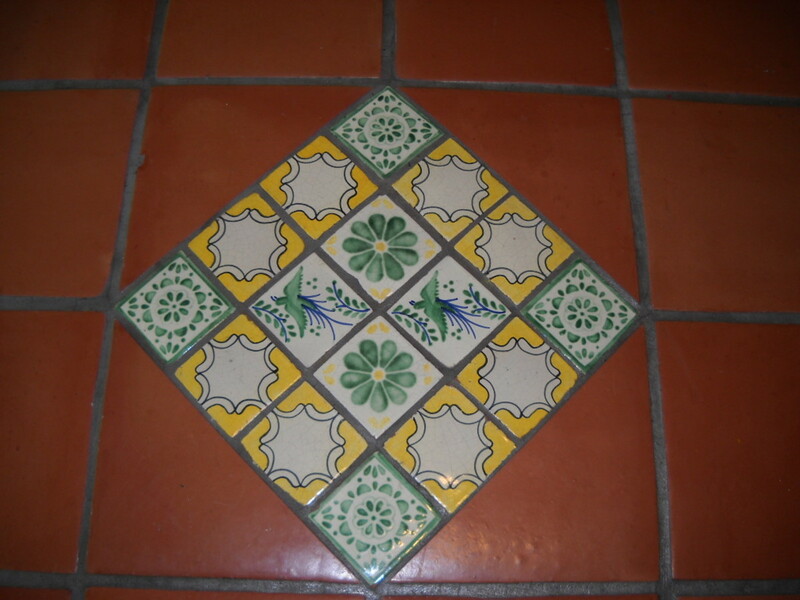 The Saltillo tiles rest on a heated floor. The nonslip area rug underpad appears to have left a stain on the floor. It would seem it is melted plastic. After futilely trying a few products, my thought is to have the tiles professionally stripped and resealed. Any thoughts or suggestions? I actually had a similar situation near my sink. My husband had given me a memory foam mat to stand on, but it stuck to the floor. I eventually did scrape it off, and then I stripped and resealed. There is still a bit of a mark, but it isn't very noticeable. You can do this yourself, but it was a lot of work and required using some harsh chemicals. My area was really only about six tiles and took several hours to do the whole process (over a week or so). I think if I had to do it again or on a larger area, I'd have someone else do it. What kind of sealer should one use to reseal a floor? What you use to reseal the floor depends on what has been put on the floor previously. 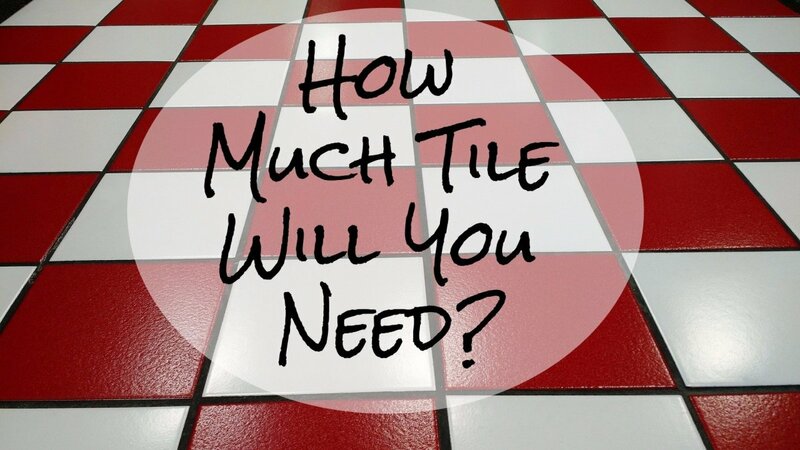 Check with your local tile dealer or building supply store about what they would suggest. I have saltillo tile on my front porch that needs to be resealed. However, the person who attempted to reseal it used an indoor sealer. How can this be remedied? Do I just let it wear off? Use water and soap? Use acid? Or just seal over it? Part of the answer to your question depends on the weather where you live and what the problem is with the sealer right now. Additionally, I'm not sure whether you are talking about the sealer on the tile or on the grout. I don't think you'd want to use acid on saltillo and if the floor looks all right, I think I'd just leave it and see how it wears before doing anything about it. If the porch is covered and you don't have a lot of extreme weather, you might not see a problem. In our area, we have too many freezes to use saltillo outdoors. Additionally, I'd suggest that you take the sealer that was used, and a picture of your floor to a place that sells and installs saltillo flooring and ask their suggestions. Can you install the electric heated floor system under saltillo? We don't use those systems where I live, so I really can't say for sure, but I've looked up those systems and they are installed under tile, so it seems like it would be possible. You would need to ask a professional tiler in your area for their opinion. 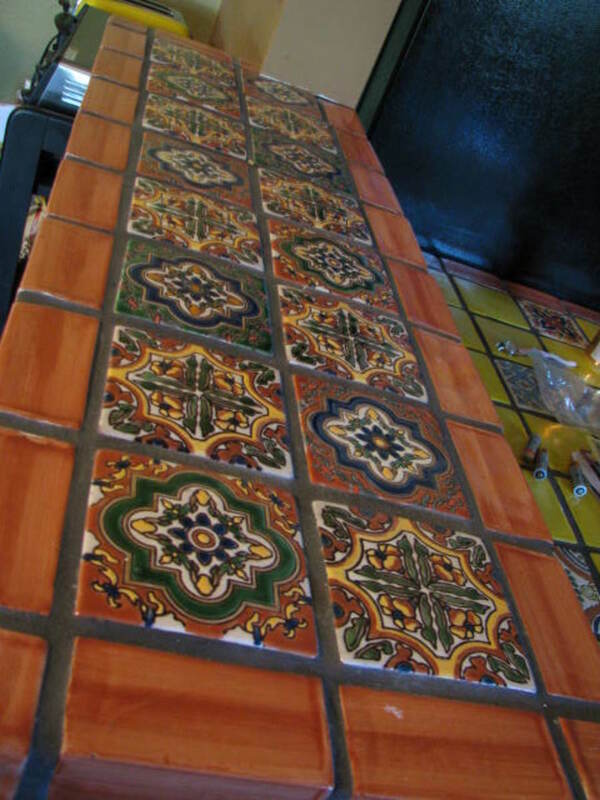 We want to use Saltillo Mexican tile outside on the patio. Does it need to be oiled before laid? If not does it need a sealer after laid? I have not used this tile outside because our area gets too cold, so I'm not sure of the specifications. I would suggest getting tile that is already sealed and then sealing the grout afterward. However, your best bet is to talk with someone who lays saltillo outside in your area. 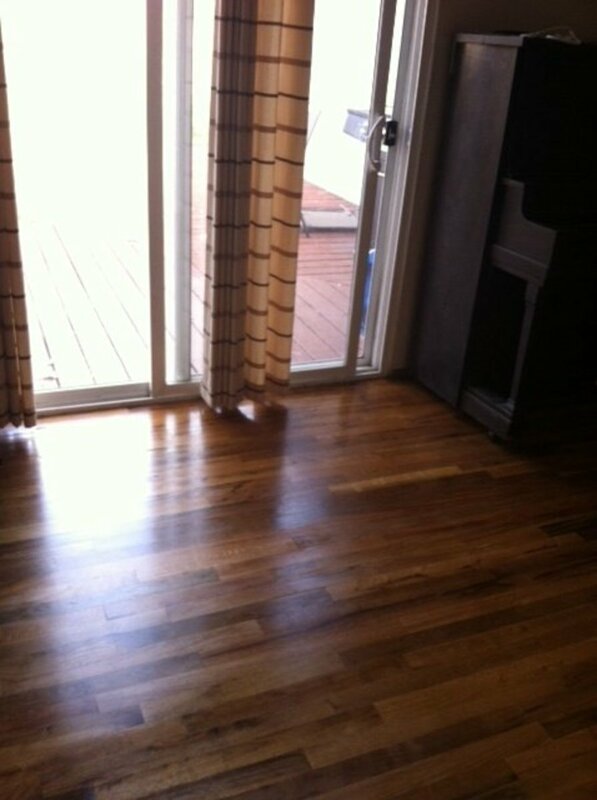 To restain and seal 1800 square feet with 2 or 4 coats, I have received estimates of $2,900 and a little over $4,000. What should the cost be? I have not paid to have other people reseal my tile. I have done it myself twice. The method I used was to clean it very thoroughly (this included going on my hands and knees to get out all the junk) and then paint on the re-sealer, letting it dry and painting it again. I think 2 coats was plenty for my floors (which are only about 10 years old). Most saltillo is sealed before it is installed and should only need a touch-up in worn areas. I've re-sealed the areas we walk on in the kitchen more often than the rest of the house. I don't know about restaining it? I've never heard of that process. I think the cost would depend on which area of the country you live in but I would say that both prices you were quoted sound a bit high to me. I think I'd ask for references. I have just had foundation work done, and need four old Saltillo tiles. Where can I get these from? I want them to look worn like all the others. You might see if there is a store in your area that offers used items taken from other homes. We have a local Habitat for Humanity store that resells items that are still usable from homes that are being remodeled. Another possible source would be eBay. 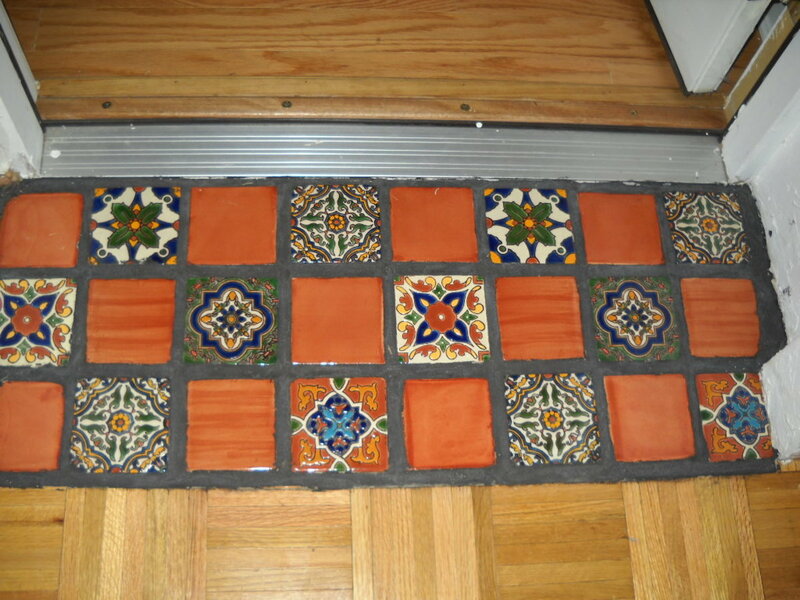 Where did you purchase your Saltillo Mexican tiles? I need 12 replacement tiles. We got our original tiles from the person who did our work. They were left-overs from a restaurant order that had been canceled. When we expanded our tiling to another room, we were not able to match them exactly. Both orders of tiles came from Dal-Tile. We ordered the second batch at Home Depot. 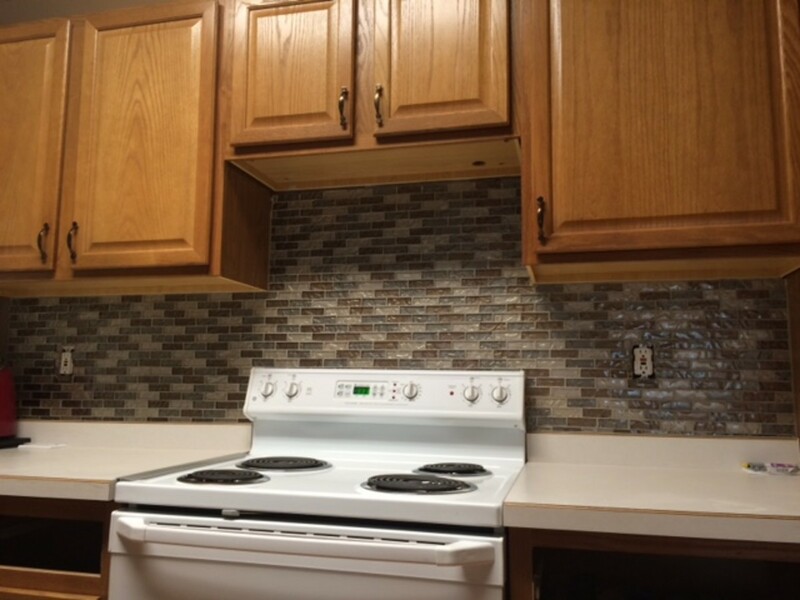 I initially stained our tiles with a thin whitewash, which I love. Some areas show scratches and wear. Do you have a similar solution that would work for me? I have not done any staining of our tiles, but I have used a couple of products which put a new seal on the tiles. These were water-based products that I applied by just cleaning the tiles really well and then brushing on a layer and letting it dry. I have used several products and would not recommend a particular one because I'm not sure how the ones I have used would react with the seal you already have. My suggestion is to buy a small amount and try it on a small area. That is exactly what I have done. 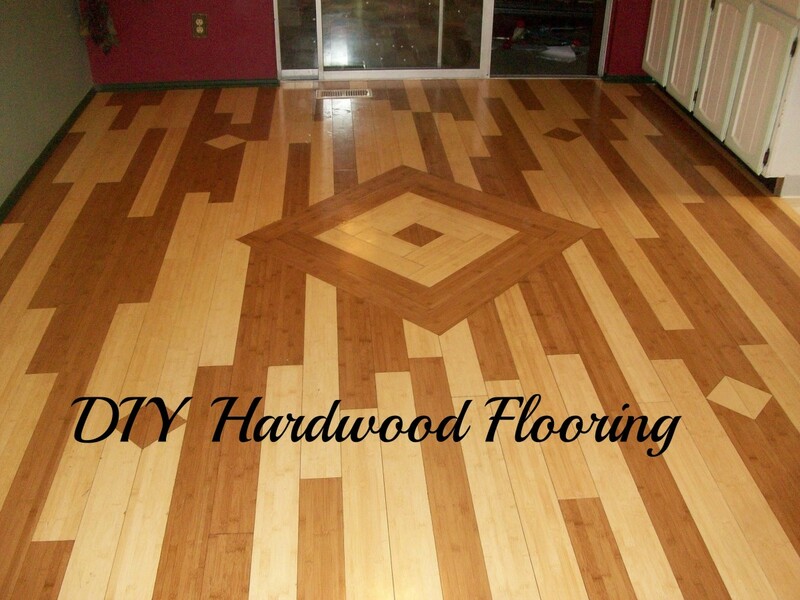 Let it dry and set for a week and then see if you like it before doing the whole floor. 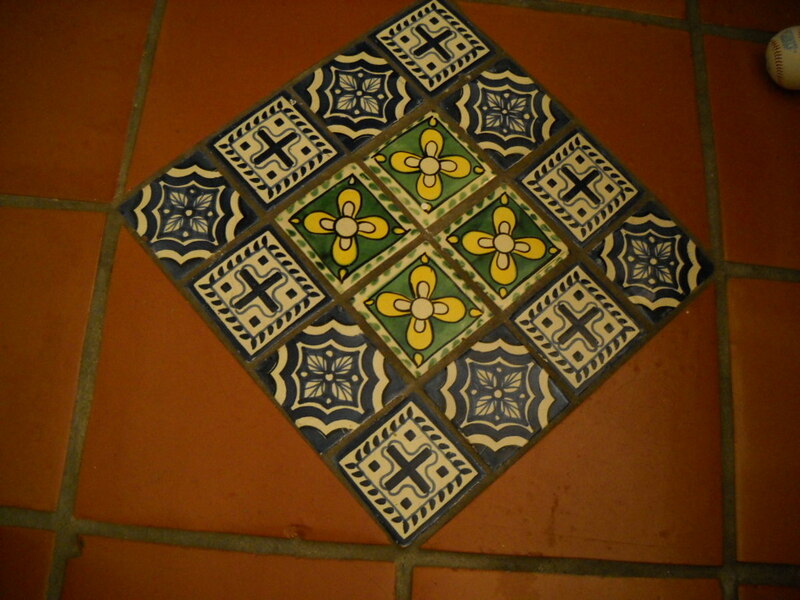 Can you paint saltillo tiles? I don't know if you can paint them and I probably would be reluctant to do that unless they were in such bad shape that there wasn't really any way to make them look good. It might be possible that you could use the kind of paint people use in garages. I'd suggest that you ask a paint professional. Hi Patti--I used DuPont Stonetech cleaner, and Stonetech revitalizer for natural stone. You can sometimes find it at Home Depot, but it is easy to get on Amazon too. Can you post the link to the DuPont cleaner you used. I’m about to try this. I too have not maintained my Saltillo and am ready to do it! Thank you! Genxer--I have just done refinishing on all of my house. It was very, very, easy, but like you, I'd waited a long time not knowing how to do this. You actually don't have to strip anything. I bought a Dupont stonetech semi-gloss (you can also get high gloss) finishing sealer. I cleaned my tiles very well with the Dupont cleaner, then let them dry and then brushed on the sealer. I let it dry and then did a second coat and dried overnight (or at least 4-5 hours). It turned out great. On a few places where the seal had really worn out, I did more coats. I'm going to put a link to this product from Amazon in the article for people to see. You can also sometimes buy it at Home Depot or Lowes although when I checked online it was not available right now, and it is not always available in my local store. I used 2 gallons for all the Saltillo in my house (about 2000 square feet). Thanks for posting. I have Saltillo throughout my home. I have a love/hate relationship with it. I have about 10 tiles that are badly worn (due to my lack of care) and I have been wanting to sand them down and refinish the tiles but I am unsure of the process. I have read to strip the sealer(water based in my case) and then to use use an orbital sander or wet/dry sandpaper. I assume I would need to reapply penetrating sealer and then the finish sealer. I would appreciate your advice. Hi Renee--I have a Kenmore canister and I take off the brush and just use the tool for flat surfaces. I have all wood and saltillo in my home and this works pretty well. I do have all of my floors sealed and I've not had any problems with scratches from the vacuum. I do take off the tool and just use the hose end to get the edges of my floors, but I'm sort of particular about that. I generally vacuum once a day or so and mop with water or dupont cleaner for salltillo once a week (not everywhere, but the most heavily used areas). We have a dog, cat and birds plus 5 kids so that does make my floor messy! Enjoyed reading your article. 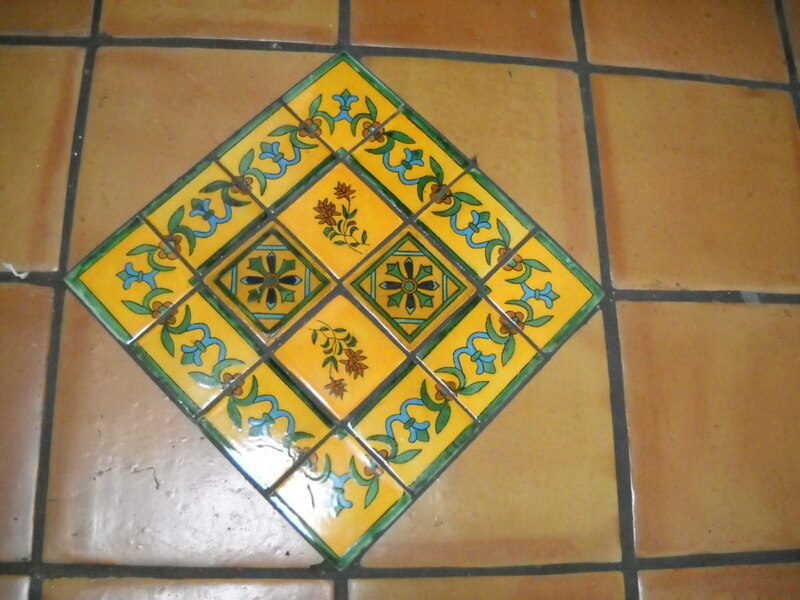 I have Mexican floors throughout my home. My Problem is finding the best vacuum to clean the floors. Some scratch the tiles or other can't get in the crevices and leave dirt behind? Have tried the Panasonic canister and my Eureka canister vac but it's just not powerful enough. Any suggestions? Thanks for stopping by souleru. I've notice that I'm getting a lot more hits on this hub. Everyone in our area that comes to see our home comments on these tiles. I hope to encourage other people to consider Saltillo.